A new UW Health primary-care quality improvement initiative aims to help patients with hypertension better control their blood pressure and potentially reduce their risk of stroke, heart disease and vascular disease. James Bigham, MD, MPH, helped pilot a new initiative that helps patients better control their blood pressure. The initiative is being rolled out system-wide this fall. The initiative specifically improves how patients with hypertension receive follow-up care. Timely follow-up care enables providers to better monitor patients’ blood pressure and make medication adjustments if needed. The initiative was piloted by family medicine and general internal medicine providers at the UW Health Odana Atrium Clinic, family physicians at the UW Health DeForest-Windsor Clinic (champion: Jennie Hounshell, MD), and general internal medicine providers at the UW Health West Towne Clinic. Adult patients with a diagnosis of hypertension who were found to have blood pressure above their goal during the rooming process for their office visit had their blood pressure checked a second time before seeing the provider. If the second blood pressure was also above their goal, patients were automatically scheduled for a follow-up blood pressure check with nursing staff within two to three weeks. During those follow-ups, nurses re-checked patients’ blood pressure, confirmed adherence to anti-hypertensive medications and provided brief counseling on behavior changes to lower blood pressure. If blood pressure was not well controlled at that recheck, providers were alerted so they could modify medications or determine if further follow-up was needed. The pilot began on April 17, 2017. By June 9, 2017, 38.6 percent of patients returning for the follow up blood pressure check with nursing staff achieved their blood pressure goal. That percentage increased to 62.1 percent by July 7, 2017, and to 62.7 percent by August 4, 2017. The workflow from the pilot was introduced at all UW Health primary care clinics this fall, with the goal of having it implemented system-wide by November 1, 2017. In addition, the project team is identifying ways to reach out to patients with hypertension who have not been seen in clinic recently, so they can be scheduled for follow-up care to better control their blood pressure. 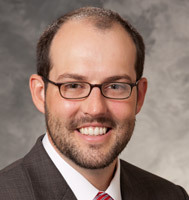 James Bigham, MD, MPH, a clinical assistant professor in the UW Department of Family Medicine and Community Health (DFMCH) who helped facilitate the pilot at the Odana Atrium Clinic, explained for every 125 people treated for hypertension, one death is prevented. Similarly, for every 100 people treated for hypertension, one heart attack is prevented, and for every 67 people treated for hypertension, one stroke is prevented. “Our multidisciplinary workgroup embraced a team-based care approach and the results speak for themselves: by collaborating, we are able to improve the quality of care provided to our patients,” Dr. Bigham noted. “The value of this workflow goes beyond blood pressure values; it is going to prevent heart attacks, strokes and death. That makes me proud to be part of the DFMCH and UW Health.